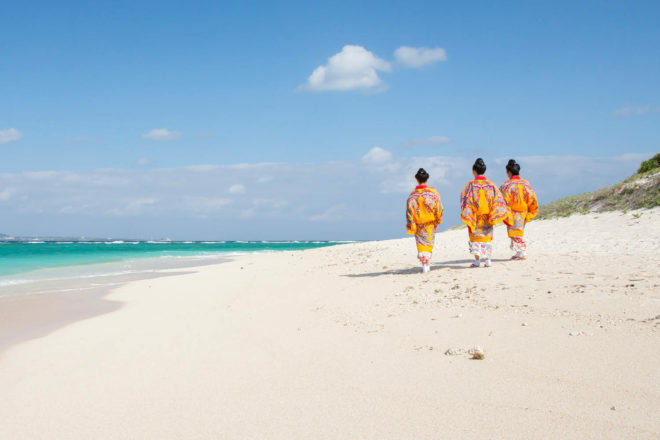 Traditional living in the sun on Okinawa Island (photo: Wataru Kohayakawa). Despite the fact that Japan is itself an island nation, beaches are not the first features that spring to mind. But the country actually has its very own tropical paradise, where the focus is on all things water related. the East China Sea. Here, visitors are greeted not only by a culture that is totally unique within the country and locals who have a deliciously laidback take on life, but also by any number of pristine beaches and aquatic pursuits that would rival anything the South Pacific has to offer.